It’s never too early to start learning life’s precious lessons, right? Life’s precious lessons start at home with family members or leaders kids trust. My daughter began learning many life lessons right away. She learned these lessons just by watching myself and her grandmothers hard at work. She has learned how to bake, can, craft, garden, and care for livestock in her young life. She asks important questions to help her learn these skills. We have also allowed her to learn by doing. This means we actually let her help with the tasks and give her ownership with her own jobs. Our girl is never bored. Instead of watching TV or playing with toys all day long, Mylee and her Grandma can fresh produce or bake delicious cookies, cinnamon rolls, or bread formed in the shape of a turtle. Or, she can help me care for goats and chickens or squash in the garden. And I am totally great with that. Many folks would gloat that a young child is too young to learn these sort of sustainability skills. I don’t agree at all. Because I have seen first-hand how much knowledge Mylee has consumed in her short life. And here’s what I believe. I believe that life’s precious lessons start at home with someone who can teach and guide them. If you know my daughter Mylee, you’d know she is a strong-willed and intelligent child. Most young children I know behave that way, actually. But, I’ve also learned that this young age group is thirsty for active learning and independence. They want to work with their hands, touch everything, and they want to do it by themselves. So, why not let them. I love helping my little girl learn skills she will need to survive the world someday. I would say these precious skills to take care of one’s self is lacking in society today. But, Mylee is learning them each day. She is gaining 5 super skills or life’s precious lessons that she will need to use someday for survivability in the real world. These lessons can also be used to gain personal growth skills: Responsibility, compassion, leadership and business skills. The first lesson I will discuss is the ability to grow fresh produce for a healthy lifestyle and to safe money by learning horticultural practices. We have several large garden spots to care for each spring, summer and fall. And Mylee is so excited to help me in the garden almost every day. There were several lessons about gardening she had to learn before I could entrust her help with our food supply. The first lesson Mylee learned in the garden was the difference between a precious plant and an invasive weed. The needed to learn what NOT to pull and what NOT to step on. In time, she has learned to toddle in between the rows of the plants that produce our food. And she enjoys helping me keep those plants alive. She helps me water during times of drought. She helps me with weed and insect control. But, she really loves and appreciates harvesting the fruits (and veggies) of her labor. During garden harvest, Mylee learns what needs to be picked and what to leave alone. She’s learned the difference between a green tomato and a red tomato. She wouldn’t have learned as quickly if I would not be there to guide and teach her. You see, our kids still need us to teach them. As their guardians and leaders, we need to be there to guide little ones in learning each one of life’s precious lessons. Life’s precious lessons, such as canning, are making a comeback. 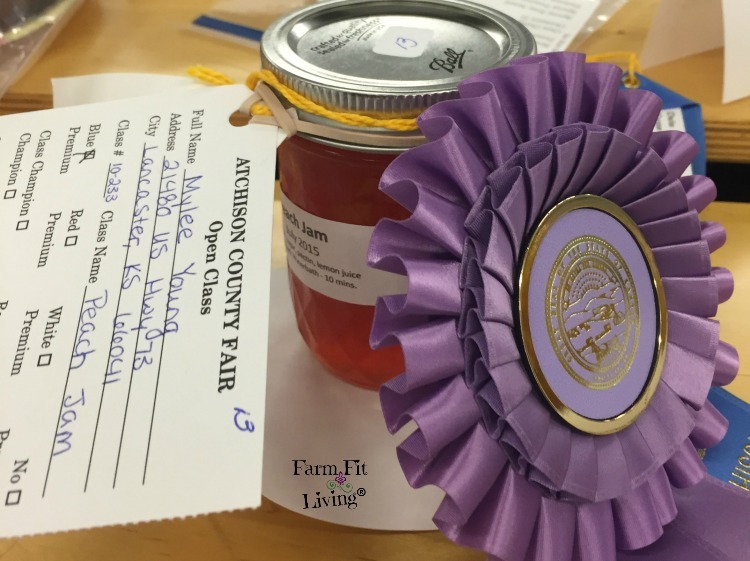 More and more people are interested in learning how to can and preserve their own food. Luckily, I grew up in a family that canned and froze fresh produce. I learned how to can thanks to my grandma and mom. And now, I’m teaching my daughter Mylee. This life’s precious lesson needs plenty of instruction. Canning is very technical and can be dangerous. Therefore, precious care must be taken when letting little ones learn. Because, Mylee wouldn’t know if the pot was hot. She would eventually find out the hard way if there was no one to warn her that the pot is hot. Or that the jars are hot to the touch. 1. How to extract the juices from the fruit. The fruit is pushed through a strainer to separate the juices and the cooked down to make a saucy liquid. 2. Canning jars are extremely hot. Of course, two year olds want to touch anything and everything. Ouch! 3. Homemade jam tastes really good on fresh bread. The fresh bread was one thing but the jam is out of this world delicious! And little ones learn very quickly how NOT to touch things that are hot. At least Mylee is afraid to touch something I tell her is hot. Kids don’t like to be burned, so a little warning goes a long way. But the best part of this life’s precious lesson of canning is the end product. Pickles, salsa, sauces and jam are all so delicious! 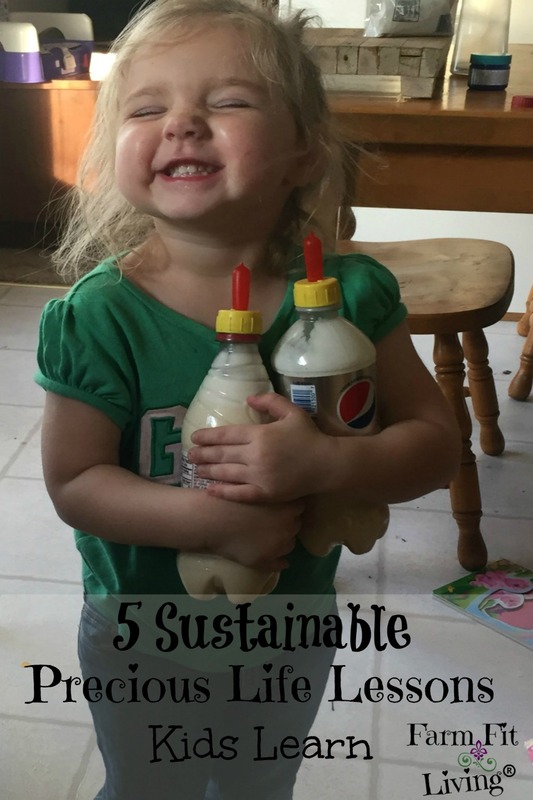 It’s the perfect lesson for kids to learn how to preserve food and prevent food waste. And the next life’s important lesson produces something that fits well with that homemade canned jam. It’s a lesson I leave up to Grandma, since she is a pro. 1. How to measure ingredients. Mylee has learned the difference between a measuring cup and a Tablespoon. Also the importance of measuring ingredients for a delicious product. 2. How to “punch” the dough. Also known as kneading, she loves punching the dough. Mylee’s grandma showed her how to fold and push the dough, but she prefers to punch it. Oh well. The bread turned out to be delicious, so I suppose punching works just as well as kneading. 3. How to form the dough. I’d say she is a master at forming balls for dinner rolls, but she’s also very skilled at forming a loaf and making sure it’s nice and smooth on top before going into the oven. 4. How to watch the dough rise. I’m not sure if she realizes yet that yeast makes the dough rise, but she knows the dough gets bigger after sitting a while in the dark. I wonder if that’s why she wants to hide under a blanket all the time now? 5. How to know when the bread is fully baked and ready to eat. I’d say this is her favorite part. It’s definitely my favorite part, too. When that timer goes off, she’s at the oven door ready for grandma to open it and take out the hot, steamy bread. Mylee Loves to bake cookies with her grandma, too! Especially big soft sugar cookies she can frost and sprinkle. It’s fun to watch her create each cookie individually. She’s also a master builder of ladders to retrieving her own piece bread from the counter top when we aren’t looking. There’s a hilarious story for you that involves her perfect dinner rolls she made with her grandma that were SUPPOSED to be an exhibit for the county fair. Oh well. I guess patience is another one of life’s precious lessons she has yet to learn. And she’s learning patience while learning to care for animals with me daily. Each day, Mylee helps me care for our animals. She takes the initiative to feed our pets. Our cats and dogs are her responsibility that she owns. She helps me feed pens of livestock. She also loves to help take livestock and pets to the vet on rare occasion. She learns patience and compassion from watching me. She asks lots of questions. I also explain everything to her. There’s no need to hold any explanation back when it’s right there in front of her. She’s seen life and death on the farm. Even if we didn’t live on the farm, we would find a way to have pets or animals. Small animals such as dogs, cats, birds, and bunnies can teach kids so many life skills. Not only that, but animals can act as great playmates and companions for little kids. Animal care is a skill that I’m passionate about. I’m excited to share my passion with her as her love for animals grow as well. Raising animals can turn into business opportunities once the skills of animal care are learned. In fact, each of these 5 life’s precious lessons can be made into businesses someday. Finally, the skill of forming a hobby such photography or arts and crafts can turn into life long skills and a future entrepreneurial venture down the road. All little kids love to work with their hands. They love to create new things. Why not allow them to learn skills they can use years into the future? But you don’t have to craft to survive. Right? Well, in a way you can learn how to craft to survive. What I mean is, you can use your crafting skills to make a living for yourselves. Turn your craft or hobby into a business. It takes thinking outside the box. It teaches kids how to work with their hands. Business skills will come later in life. The knowledge of the skill must come first. And the possibilities are endless. Paintings, photographs, sculpting, woodworking, etc. The possibilities are endless. I’m helping Mylee learn a craft by making jewelry. One of my neighbor girls had a jewelry making kit she didn’t want anymore after leaving college. So, I decided to take it and see what we could come up with. While this skill is mainly for fun, someday maybe Mylee could sell her products. She could make her own money for college. If she creates a product people love, they will be lining up at her door. But the main thing I want her to learn in life is that money isn’t everything. I want her to spend her days doing what she loves. I want her to learn how to use her mind to think strategically and creatively in her own unique way. And that is one long-term skill that no one learns too early in life. Canning: Jars of jam. She also plans to exhibit jars of ketchup and pickles this year. Gardening: Plates of prized tomatoes, peppers, squash, potatoes and more! Basically, whatever we have ready that is show quality from the garden. I also help her with flower exhibits. Matt helps her with crop exhibits, such as corn and soybeans. Here’s an exhibitor guide for vegetables for the county fair. Baking: Grandma helps Mylee bake bread for the fair each year. Their specialty is animal breads. I love to see what they come up with each year. Animal Care: Mylee has a breeding doe named Anna she’s been working with for the county fair. She feeds Anna and rinses her hair twice a day to keep it growing through the heat of the summer. This will be her first year exhibiting a doe for a judge at the county fair. Crafts & Photography: Mylee will make some jewelry this year for the fair to exhibit in open class. I’ve also given her one of my old digital cameras to start taking pictures. I’m trying to teach her to find an object and just focus on one thing. Skill will come with time and lots of practice. She has so much fun taking pictures. 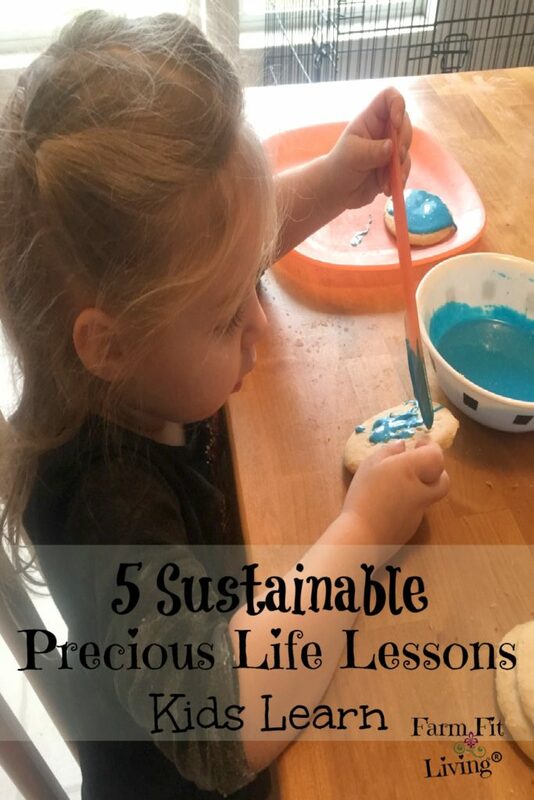 We are having so much fun just playing around with the different life’s precious lessons. It’s important to me as a mother to teach my kids these skills just as my mother and grandmother taught me. These 5 life’s precious skills are timeless. I honestly don’t believe it’s too early for kids to learn how to be compassionate, patient and to care for themselves. As a child, I learned many of the same skills Mylee has learned. And now, I’m able to support family, own my own businesses and just simply enjoy growing and creating. Life’s precious lessons certainly have helped me to create this life I want to live. And I do believe all kids can learn these skills for the future just as I did. It not only takes knowledge, but hands on practice. Because, their little minds are learning even when it doesn’t seem like it. They are taking it all in. Their little minds are like sponges. Let’s let them soak it all in, shall we? Let’s help them learn skills for the future. What precious skills will you teach your little ones? Could not agree more! I love teaching my children new things and watching their faces when they grasp what I am teaching and then take it even further. Thanks again for coming to the Country Fair Blog Party yet again! Always nice to have repeat bloggers.